Enrique de la Madrid took over as Mexico’s Secretary of Tourism in 2015. Mexico’s new President takes office in December 2018, bringing with him a new Cabinet. It’s important to point out, however, that during de la Madrid’s tenure the country strengthened its position as a tourism powerhouse, climbing two places in 2017 from 8th to 6th on the United Nations World Tourism Organization rankings as one of the most visited countries in the world. EVEN THOUGH WE ALL SPEAK SPANISH, THE PEOPLE FROM YUCATAN ARE VERY DIFFERENT FROM THE PEOPLE THAT LIVE IN THE BAJA CALIFORNIA PENINSULA. THAT IS WHAT MAKES MEXICO, AT THE END OF THE DAY, A WORLD OF ITS OWN. WHAT IS THE MEXICO TOURISM BOARD’S GREATEST ACHIEVEMENT IN THE PAST SIX YEARS? I think [the Tourism Board] has been able to make a more targeted promotion about Mexico, releasing interesting campaigns that better describe the experience of coming into Mexico. The first one was “Live it to Believe it,” which was an invitation to come to Mexico to really experience the culture, the gastronomy, and the people. Then we evolved into this campaign called “Mexico, A World of its Own,” which was influenced by the former Secretary General of the World Tourism Organization when he described that Mexico had many challenges, but it is so diverse that it could be seen as a world of its own. I think that we have been able to build a closer relationship with our partners, the travel agents, the tour operators, and the airlines to reach the tourists, the clients, in a more specific way. I think it has been evolving and doing a much better and targeted job. WOULD YOU ATTRIBUTE THIS RISE TO NUMBER SIX IN THE UNWTO RANKING TO THE PROMOTIONAL CAMPAIGN? I think it is the result of many things. I think there’s no doubt the role of the Mexican Tourism Board has been very, very important, again, in strengthening the relationship with our partners, but at the same time, I think Mexico has also taken some other significant steps. For example, it has continually increased its connectivity: every month, every year, we’re adding new destinations, new connections between Mexico and other parts of the world, and also within Mexico. 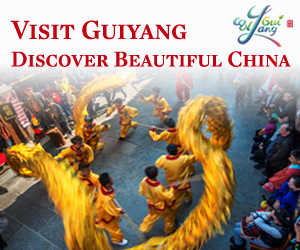 We have also been able to add new tourism products in addition to the ones that are already very well-known. 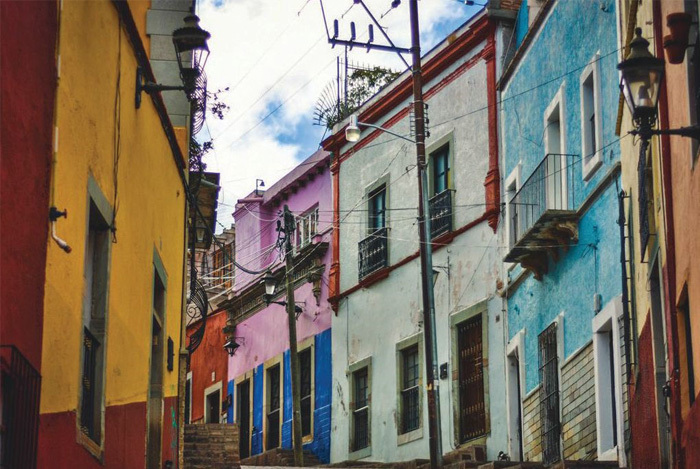 We not only have places like Cancun and Los Cabos, but we have also been able to explore what we call “Magic Towns.” We already have 111 magic towns in Mexico, Pueblos Mágicos. We’re also strengthening ecotourism and we’re working on our gastronomy, so we have been developing our products. Better promotion, more connectivity, and more product placement. I think it’s also one of the reasons that explains how we have been able move from number 15 [on the list of] most visited countries in the world to number six last year. 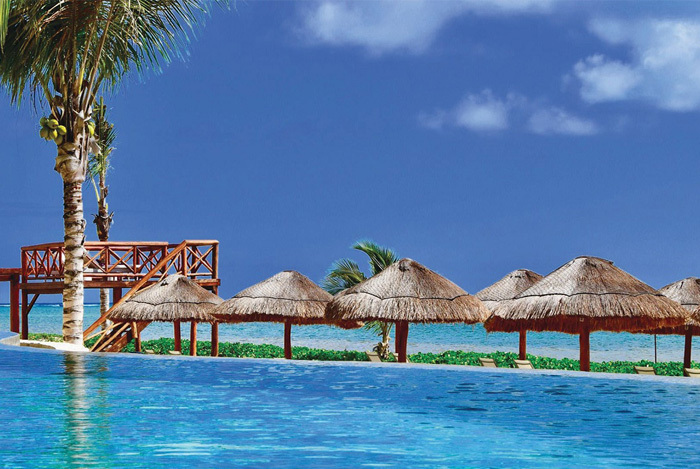 WHAT EMERGING DESTINATIONS IN MEXICO SHOULD TRAVEL AGENTS KEEP THEIR EYE ON FOR CLIENTS? There are the traditional ones, the most visited: Cancun, Riviera Maya, Los Cabos. I think, for example, Mexico City, [while] it’s not emerging, it’s different than the typical sun and beach place. Two years ago, it was promoted as the number one place to visit by to the New York Times. Of the 52 destinations they promoted two years ago, Mexico City was number one. We have 111 Pueblos Mágicos, the Magical Towns, in Mexico. This is a program that started about 16 years ago, where the towns apply to be certified by the Ministry of Tourism and have to comply with certain prerequisites. We have 111 certified Magic Towns to visit. These are usually destinations with colonial backgrounds, very good gastronomy, and an interesting history and culture worth visiting. 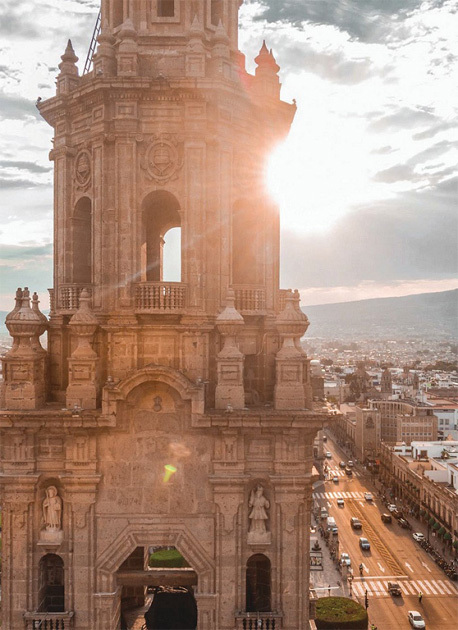 We have so many colonial cities, like Zacatecas, the capital of the state of Zacatecas, or the city of San Luis Potosí. I think Mexico offers such a big diversity of places to visit, different climates, different types of people. Even though we all speak Spanish, the people from Yucatan are very different from the people that live in the Baja California Peninsula. That is what makes Mexico, at the end of the day, a world of its own. WHERE WOULD YOU RECOMMEND TRAVEL AGENTS SEND CLIENTS WHO ARE LOOKING FOR SUN AND SAND, BUT WANT SOMETHING DIFFERENT THAN THE USUAL DESTINATIONS? This year in April we had our Tianguis Turístico in the city of Mazatlán in the state of Sinaloa. Mazatlán is a traditional port destination, but it was significantly renovated in order to host this tourist exposition, which Mexico hosts every year. It has a historical center where 36 or close to 40 streets were totally renovated, plus a boardwalk around the bay that was also totally redone. I would suggest a visit to Mazatlán because it has that Mexican feel, but it’s also very welcoming for Americans or for Canadians. I think that would be somewhere different to visit within the sun and beach segment. HOW IMPORTANT IS THE RELATIONSHIP WITH TRAVEL AGENTS WHEN YOU CREATE YOUR PROMOTIONAL STRATEGY? It is very important because we see them as a way to reach our final clients: the tourists. We really have to be in very close contact with travel agents to understand what their needs are. We have also been developing digital platforms, including the [Visit Mexico] University (www.visitmexicouniversity), to help travel agents specialize more every day. We see them as a basic link in our promotion to reach the clients that we want to visit Mexico. Travel agents are vital for us and we are continuously trying to strengthen this relationship. 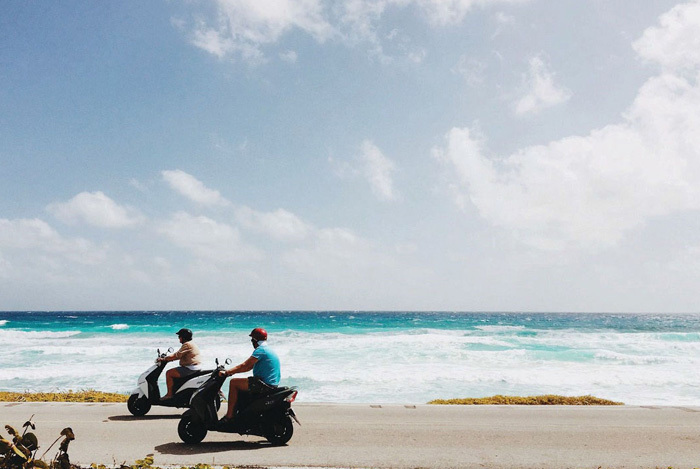 WHAT IS THE NEXT AREA OF OPPORTUNITY FOR MEXICO AND ITS TOURISM PARTNERS TO KEEP AN EYE ON? I think Mexico still has to develop and strengthen other segments of tourism. For example, we would like to develop medical tourism. We believe there is a great opportunity, mostly between the United States and Mexico. Medical expenses in the U.S. have been increasing significantly. In Mexico, we have very good facilities, very good doctors, and the expenses are much lower. That’s an area of opportunity for us to work on. Meetings and conventions are another segment that Mexico has to develop even further because the people that travel for business purposes tend to stay longer and have a higher expenditure. Mexico has been investing in convention centers, but that’s an area [we need] to grow, as well as luxury tourism, because we have such an important luxury industry, such amazing hotels. We want to increase the expenditure per tourist in Mexico. I think those are the three areas Mexico has to work on the years to come. 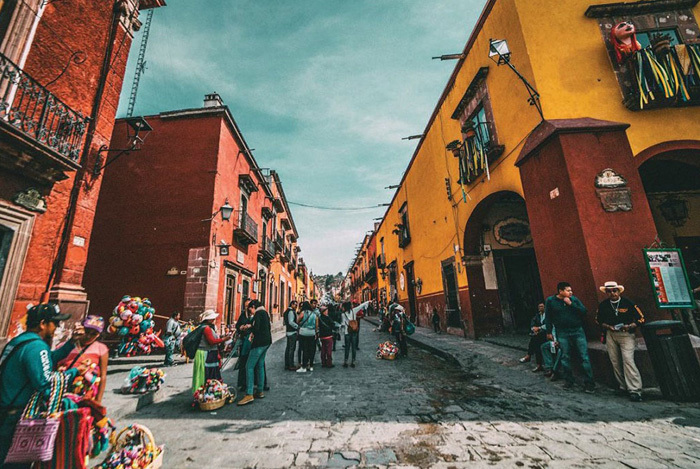 WHAT SETS AMERICAN TRAVELERS APART FROM OTHERS THAT VISIT MEXICO? I think Americans are looking for new experiences. They are very amicable. I think the relationship between Mexicans and Americans is still very easy. We in Mexico are very welcoming to the American public. They are easy-going, not pretentious, and, at the same time, they’re very close to us. Sometimes, it’s much easier for an American to fly into Mexico on a two- to three-hour f light from the U.S. than f lying within the U.S. Many of them are already very knowledgeable about Mexico. They love the weather, the food, and the people: so many of them already feel very much at home in Mexico. They are frequent travelers and come back often. For us, that relationship is very natural so we’re very welcoming to them. If you come to Mexico as a tourist to a tourism destination you can be certain you will be safe. Unfortunately, there are some issues of security in some of the states in Mexico, but the events you see on the TV, hear on the radio or read in the newspapers don’t really affect either domestic or foreign tourists. W hat I can say very confidently is that people who come to Mexico as tourists and visit the tourist areas are safe—as safe or sometimes even more so than if they stayed in their home cities. I know that, unfortunately, we have negative images that have been very difficult for us to counteract, but the reality is that 39 million foreigners came in to Mexico last year, they had a great time, and most of them will return. 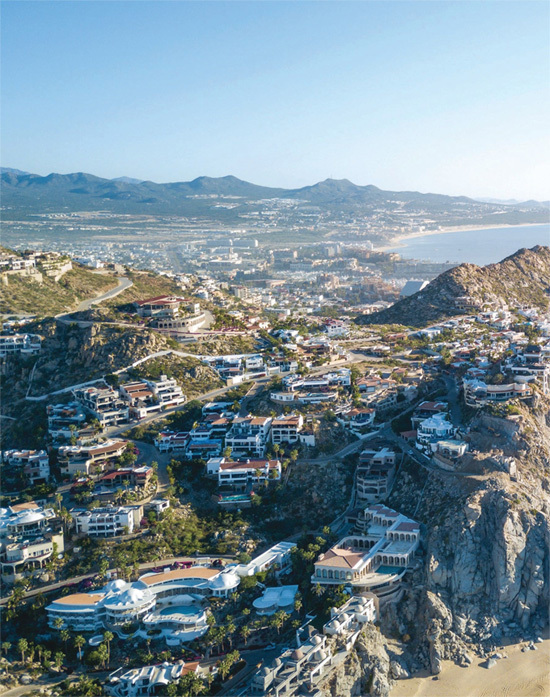 This year, we will likely welcome close to 41 million foreigners, which is probably the strongest evidence that Mexico is a very safe and attractive country to visit.The numbers speak for themselves. THEY [U.S.] ARE FREQUENT TRAVELERS AND COME BACK OFTEN. FOR US, THAT RELATIONSHIP IS VERY NATURAL SO WE’RE VERY WELCOMING TO THEM.